Discover a traditional market town only 25 minutes from London by train. 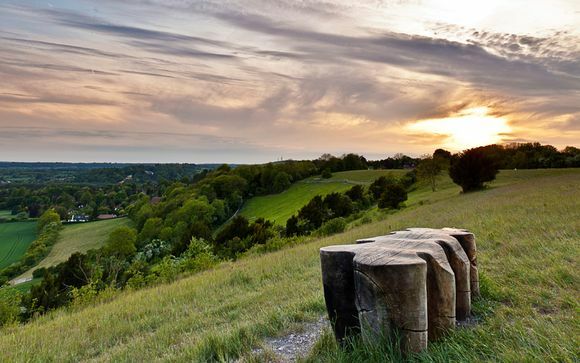 Guildford is serenly located in the Surrey Hills Area of Outstanding Beauty and home to many picturesque National Trust properties. Spend your days exploring local landmark attractions including the Guildford Cathedral, Kew Gardens, RHS Wisley, and Hampton Court Palace. Nestled in the Surrey Hills Area of Outstanding Beauty is the county town of Guildford. Enjoy a stroll along its nearby cobbled high street and discover how steeped in history this attractive and historic market town really is. Guildford was traditionally the stopping off point for travellers between Portsmouth and London and even Lord Nelson was a frequent visitor. Many have yet to discover the truly underestimated beauty of this charming town, just a short train ride from London. Landmark attractions nearby include the famous Guildford Cathedral and National Trust properties such as Box Hill, Clandon Park, and Claremont Landscape Gardens. Within a short driving distance you can find colourful Kew Gardens, Hampton Court Palace and the majestic Windsor Castle. Spend your days strolling along its meandering streets, enjoy a steaming cup of tea in a charming tearoom, or stretch your wallet to comb the antique shops - there is much to do in this quintessentially English town. A lovely way to spend a summer's afternoon is a boat trip on the River Wey - which runs through the town - wine tasting at Denbies Wine Estate, or a round of golf at one of the nearby courses. 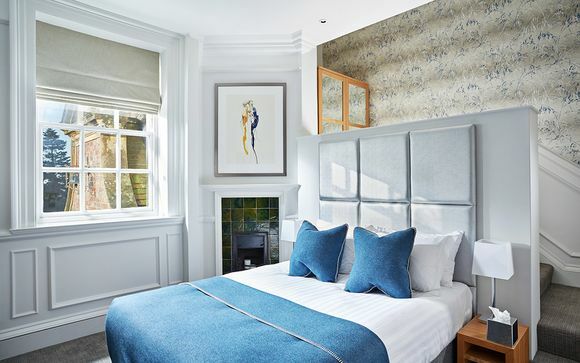 Recently renovated to the standard of its newly acquired 4* is the 22 AA Rosette awarded Barnett Hill Hotel in Guildford, Surrey. This elegant and cheerful manor house is peacefully set within 26 gorgeous acres of lovingly maintained gardens and woodlands. Just outside of Guildford, the manor house enjoys a stunning hill top location within the area of outstanding natural beauty in Surrey. 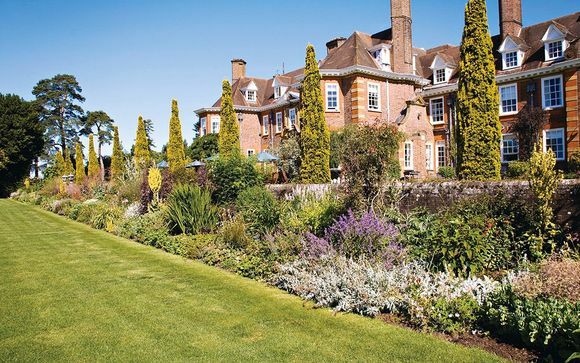 A picture-perfect destination for your countryside escape, Barnett Hill Hotel boasts the traditional and quintessential character of a 20th century Queen Anne style English Mansion while embracing modern amenities and comforts to make the most of your sojourn in Surrey. As part of our offer our members will enjoy a bright and elegant Comfy King Room. Your King Room is adorned in modern and contemporary decor with sleek design and soothing tones to create an atmopshere of calm. In addition to free WIFI, your team will be equipped with handmade sprig mattress and Egyptian cotton bedding, a flat-screen TV, a private bathroom with complimentary upscale toiletries, an iPhone dock, and a tea/coffee maker. Our members will enjoy a healthy and fueling breakfast each morning to start your day. As part of our offer, you will enjoy a handsome allowance for dinner on the first night of your stay. Dining on gourmet and intriguing dishes has never been easier! After a morning exploring the grounds, treat yourself to a quintessentially English afternoon tea. Afternoon Tea is served in the intimate lounge, The Oak Room Restaurant, or in the summer months; al fresco on the terraces. 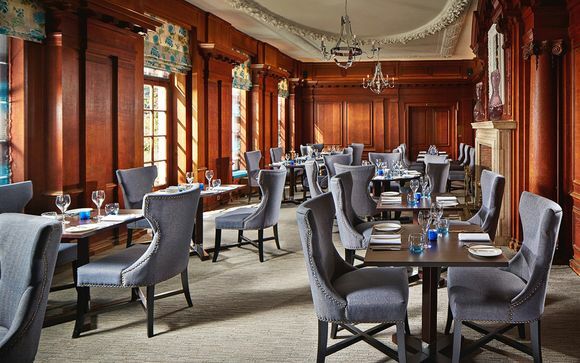 Our Oak Bar provides a more relaxed dining experience, offering creative and simply delicious lunch and dinner menus. 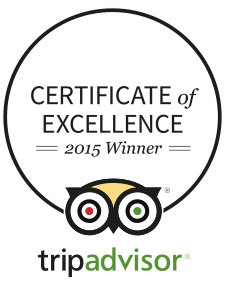 The Oak Room, the on-site 2 AA Rosette awarded destination restaurant, is a sophisticated, classical experience. Food is imaginative and commitment to quality is unrivalled. Treat yourself to an unforgettable dining experience and enjoy upscale twists on English classics.